Ah - I just "Wowed!!!" my way right through your trunk show Cheryl! How fun that you fiddled around so much with your first quilt that you discovered your love for designing! I love all your quilts! "Oh the Places You'll Go" is Amazing and the piecing really fools the eye, but the quilting was the step that kicked it right over the top. Pike's Peak is so awesome too. they all are! Great quilts, your quilting designs really enhance them! What a fantastic trunk show. I really like getting to see some of your earlier work, and I'm so glad I was fortunate to get to see two of these in person at QuiltCon! Wonderful trunk show, Cheryl. Enjoyed seeing all your designs and your quilting. 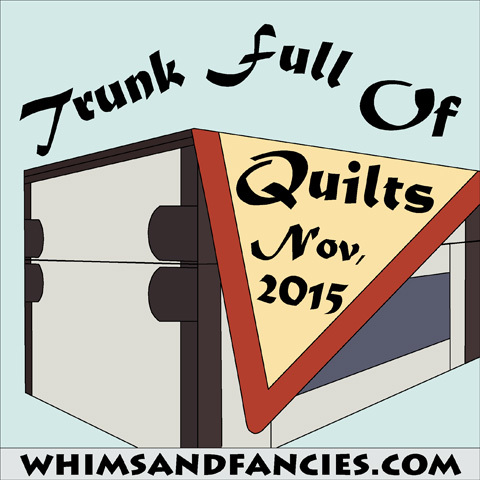 Love all your quilts but my favorite is "on a jelly roll".........thanks for sharing your trunk with us! Your work is beautiful. Loved the "on a jelly roll" quilt. Loved reading this and am inspired by your quilting on Pikes peak! Beautiful quilts! I love the quilting on Pike's Peak very much. OH how very fun to see these pieces. I especially love the Pike's Peak piece - it really captures my fancy! Awesome fun, thanks for sharing Cheryl. So many gorgeous quilts and that pot holder is so pretty! You do amazing work! 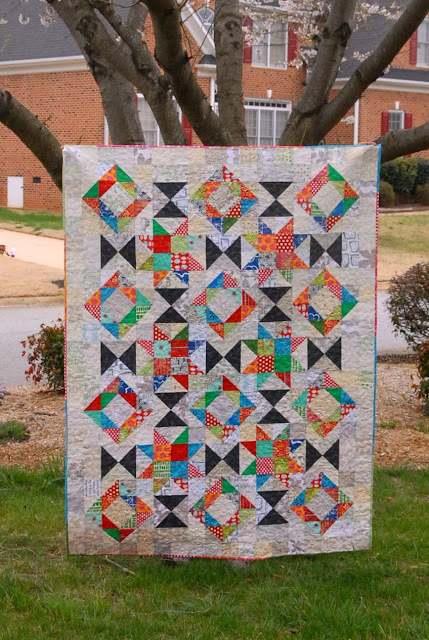 I love the colors in "On a Jelly Roll"! 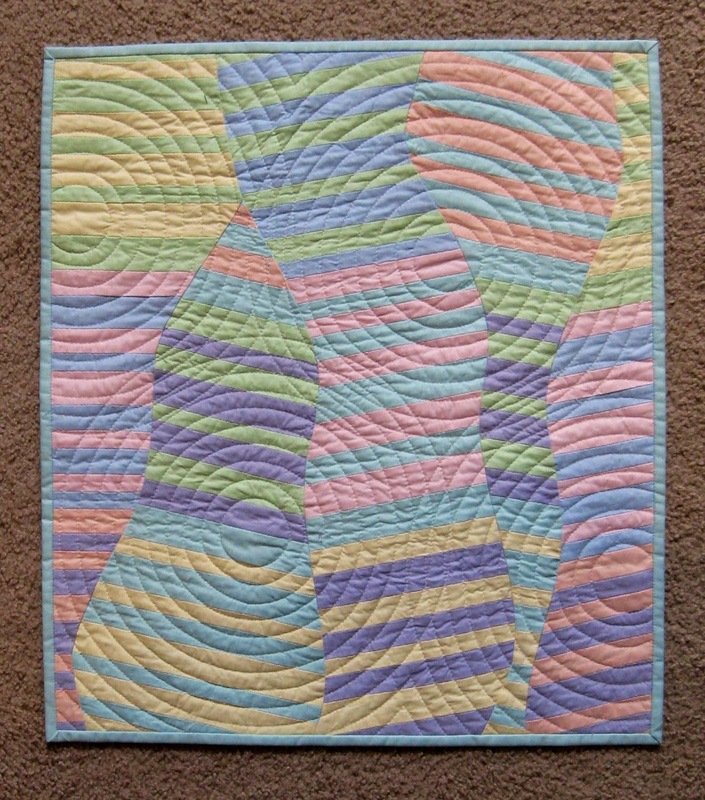 I'm so impressed that at your first quilt you were already adapting the pattern and changing it up - fantastic. Loved all the quilts. Beautiful quilts. Your quilting on the Pikes Peak quilt looks like it could have been done on a longarm it done so precisely. Thanks for sharing! 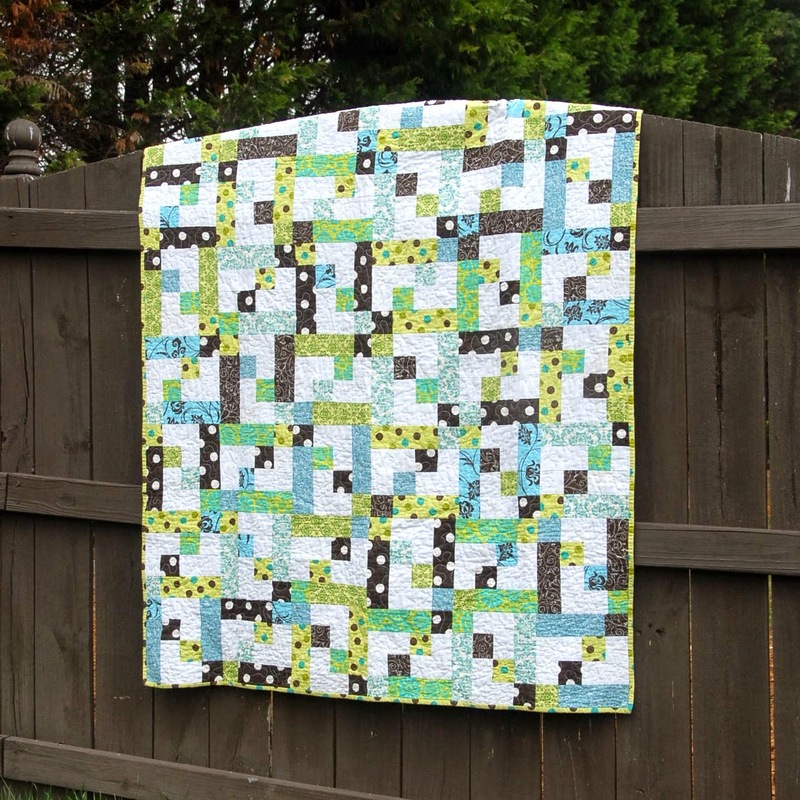 I just love that you rewrote the pattern from your very first quilt!! And I just loved seeing Oh The Places You'll Go again. 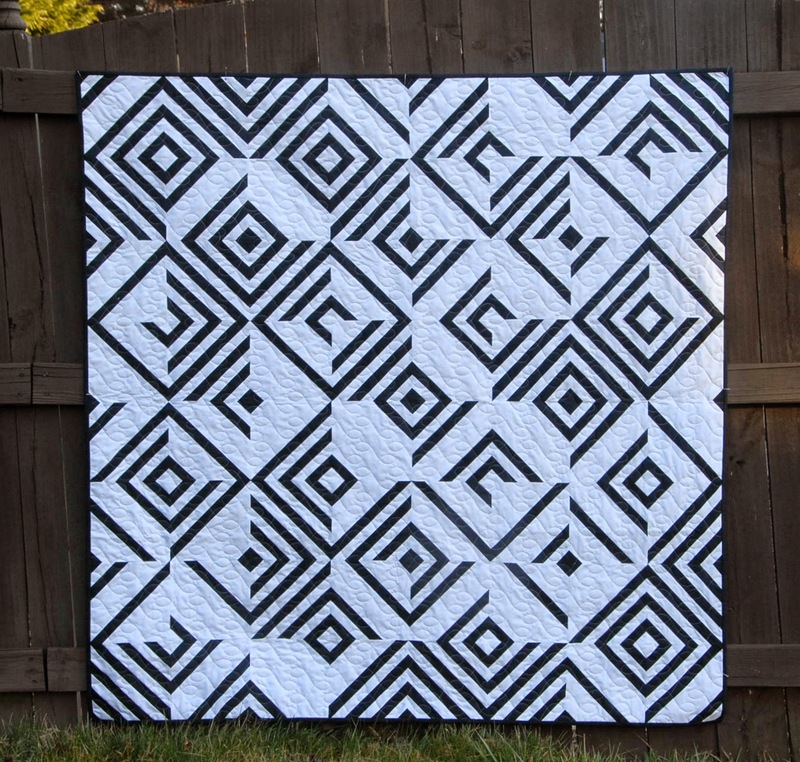 I am so captivated by that quilt!! 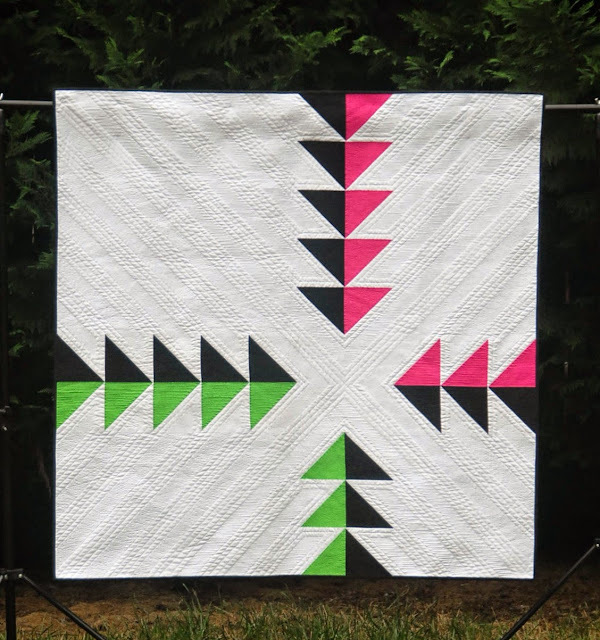 I love the Pike's Peak quilt - such a bold contrast in the colours and the quilting makes it pop! Very fun and varied portfolio of quilts. I couldn't pick a favorite, they are all beautiful. Love the name "Oh the places you'll go", the name really fits the quilt. Although I am inspired by antique quilts I do love modern quilts very much! 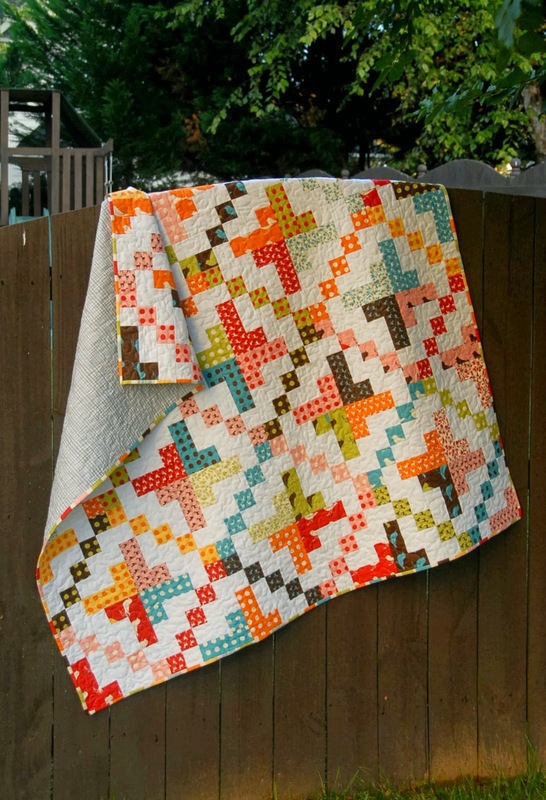 Your quilts are stunning and your eye for color is fantastic! Pikes Peak has to my favorite! Wowser! These are such a visual treat, and your comments make them even more interesting. I especially like how your quilting enhances your design on Pike's Peak and Oh the Places You'll Go, and how you designed Use Your Illusion. The folded star mini brought back a memory for me. Years ago, my mom taught me how to make one. She was not a quilter, but learned how to make one at a craft group. She trimmed around the star with decorative lace and mounted it on a straw paper plate holder to hang on a wall. I remember making a few for gifts after that. Thanks for prompting a pleasant memory. I like how the quilting makes yours pop out in 3D. Just a great 'wow' factor in this trunk show stop! Love the colors, patterns, textures, and bits of play here and there. 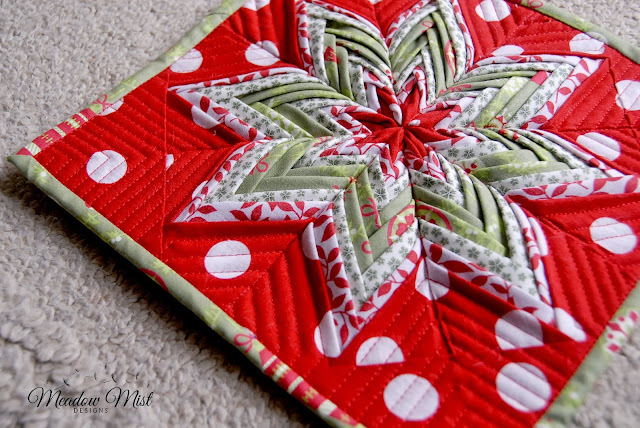 Your quilt show is wonderful, I love all the geometrics at play in your quilts, but my very favorite is that sweet folded mini-star! Thanks for sharing. I do follow your blog and enjoy every post. I am really drawn to the way you did your Michael Miller pastel solids challenge. I love your quilts and designs! Your quilting and designs are beautiful and so intricate. I especially love your Jelly Roll design and the folded Star mini quilt. I couldn't pick a favourite of any of these quilts as they are all stunning! Love your designs and use of colour (and B&W!). Very modern and fresh! Holy moly! These are amazing! 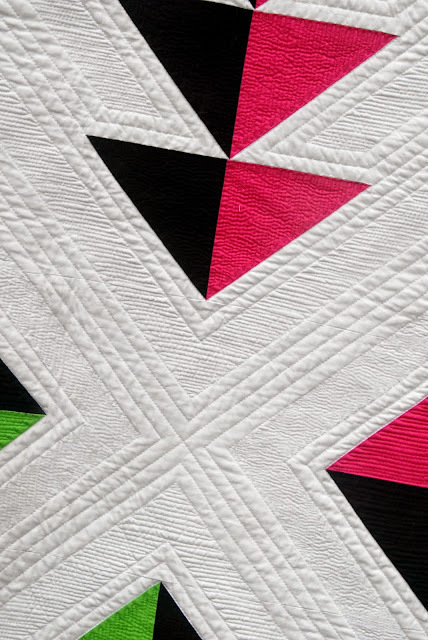 My eyes are still tripping from that Illusion quilt. Beautiful!! nice workmanship and design. A busy woman who also needs to create. Love the graphic nature of your quilts - very striking indeed. Thanks for the fun trunk show! A virtual trunk show is a great idea. Thanks for sharing all the nice work. Your Illusion quilt will always be one of my favorites.